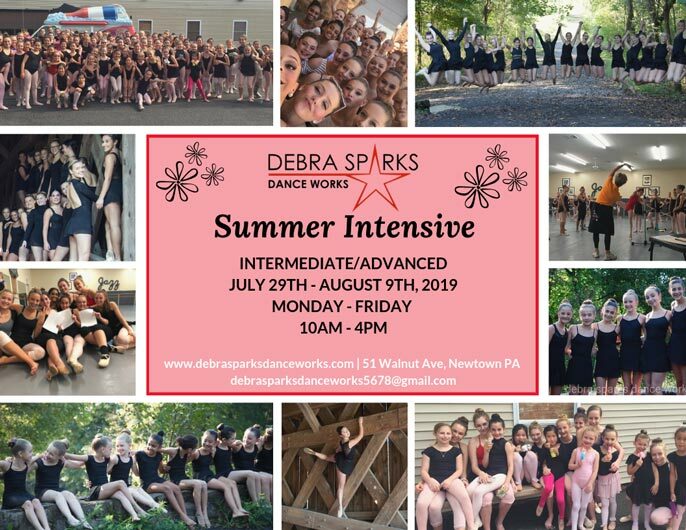 The Debra Sparks Dance Works is a nationally recognized Academy of the Arts located in Newtown Bucks County PA. DSDW offers the highest level of training in all forms of dance including BALLET, POINTE, JAZZ, TAP, LYRICAL, CONTEMPORARY, MUSICAL THEATRE, and HIP HOP. From Preschool to Pre-professional, our studio provides an encouraging and nurturing environment for all to succeed in reaching their dance goals. 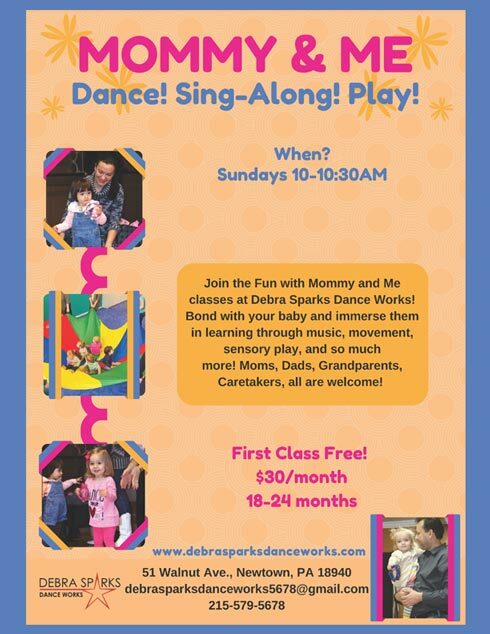 The Debra Sparks Dance Works offers an opportunity for those who want a healthy, fun hobby, as well as to those who strive for a professional career in dance. 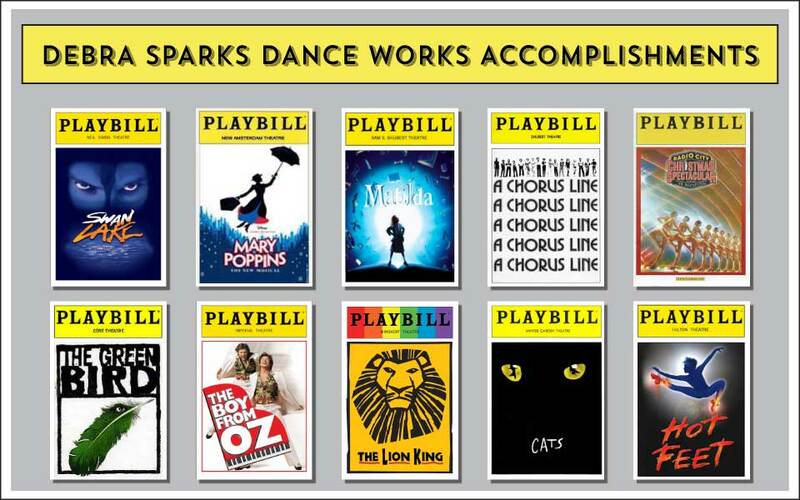 DSDW has proudly trained 10 Broadway performers and 15 Ballet Company members. The Debra Sparks Dance Company provides additional performance and talent exposure opportunities for an elite circle of dancers. 2 weeks – Monday – Friday, 10AM – 4PM. 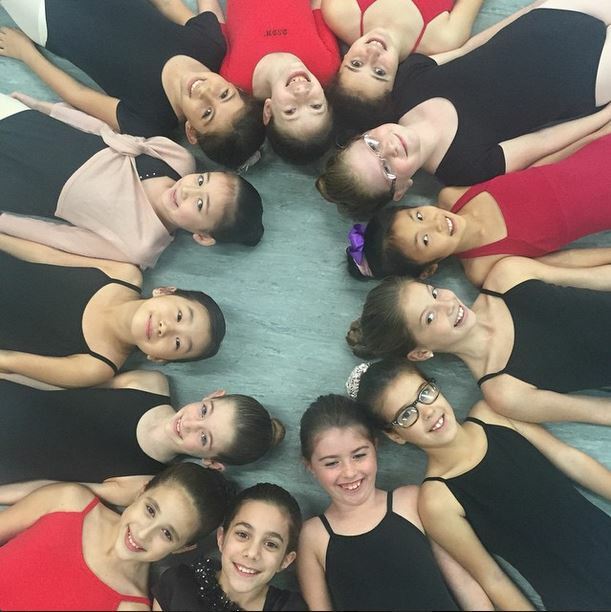 Our summer intensive program features a rigorous and fun schedule of classes in classical ballet technique, pointe, jazz, modern/contemporary, hip hop, acro dance, and tap. 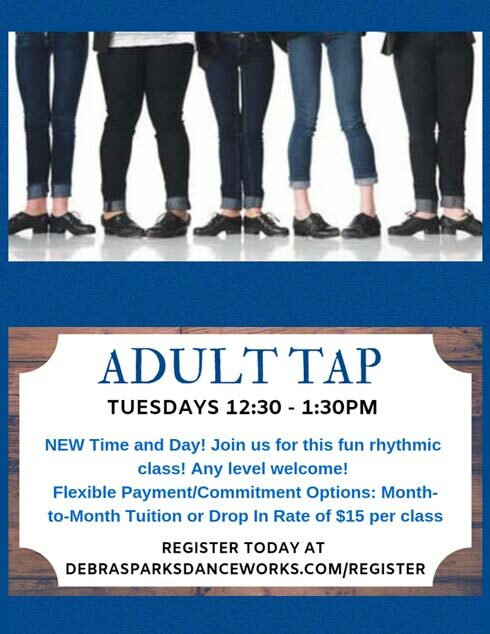 Check out Adult Dance Classes at DSDW! Stay Healthy and Be Active at DSDW. We offer Ballet, Tap, and Workout Classes for Adults! 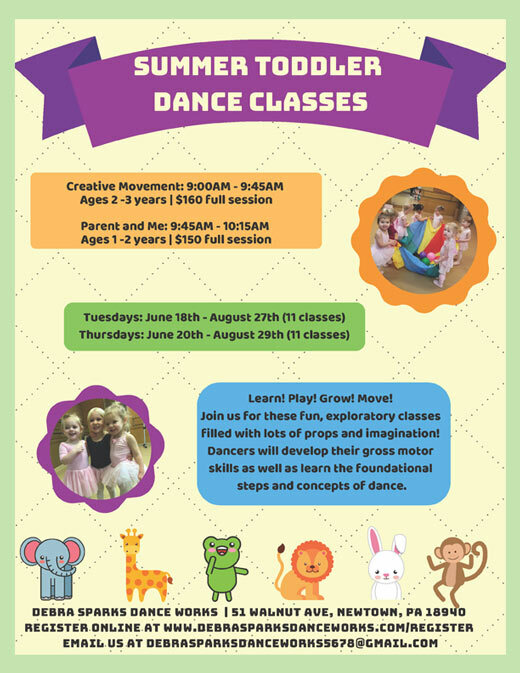 We are excited to be offering the following DSDW Toddler Dance Classes! In collaboration with Mr. Will from Unscripted Productions in Newtown, PA, DSDW brings you this new and exciting acting class for our dancers and community. 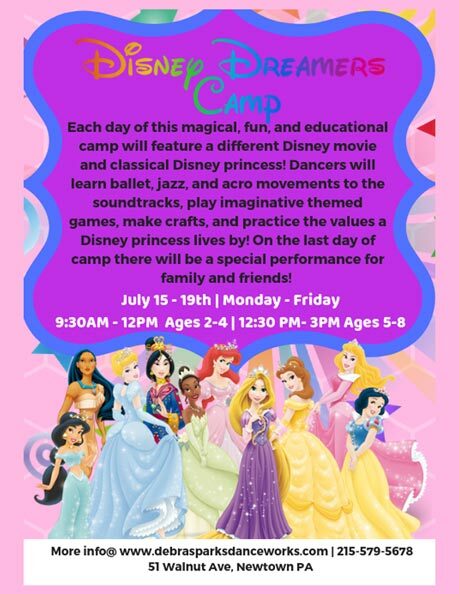 This class will build confidence, teamwork, problem solving, quick thinking, creativity, communication, and of course acting skills - all very important for any dancer/performer! You will see results not just in stage performance, but also in everyday life situations! 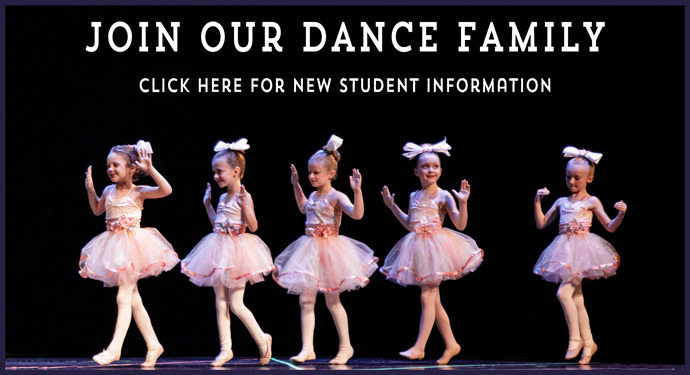 The DSDW Award Winning Dance Team provides an opportunity for dancers to advance their technical skills, and to perform on stage multiple times throughout the year. Membership is by invitation only. Students are placed according to age and ability into either the Mini Team, Junior Team, or Senior Team. Team members compete in local and national events. The Debra Sparks Competition Team promotes self-esteem, a healthy lifestyle, and lasting friendships. For more info click here. 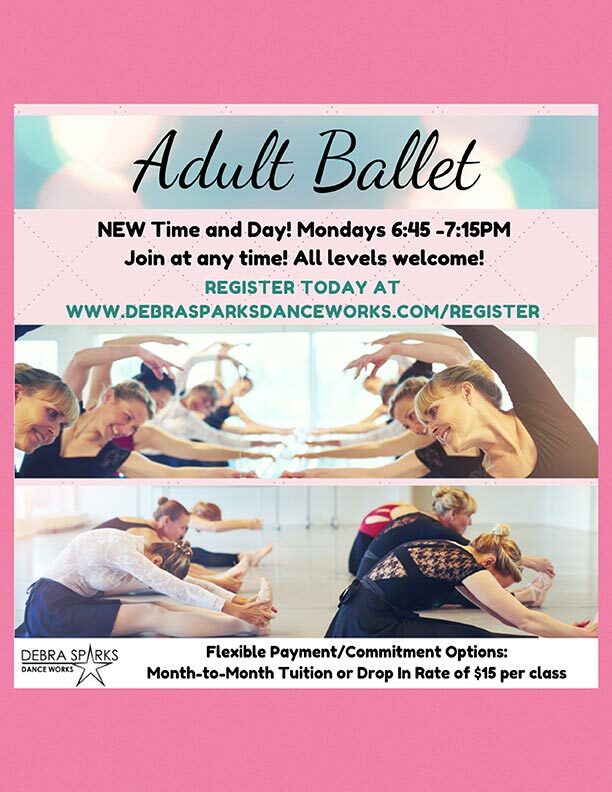 Debra Sparks Dance Works, Located in the Council Rock School District in Newtown Bucks County, PA 18940, offers Classical dance training in ballet, pointe, jazz, tap, lyrical, and more. From Preschool to Pre-Professional, there is something for everyone at DSDW. Dance students come from Newtown, Yardley, Ivyland, New Hope, Solebury, Upper Makefield, Lower Makefield, Langhorne, Warminster, Richboro, Holland, Churchville, Ewing, Lambertville, and surrounding areas. 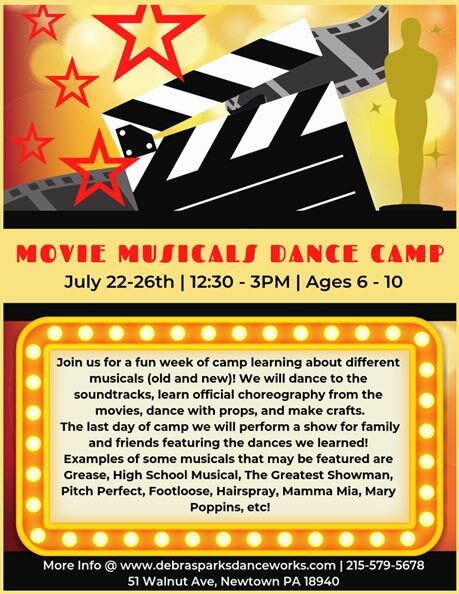 DSDW is the best children's dance studio in the Council Rock, Pennsbury and Central Bucks School Districts and more.